Wes Anderson’s 1998 film Rushmore kicks off with a brilliant song by a somewhat obscure British band called The Creation, whose ranks included bass player John Dalton (The Kinks), and Ronnie Wood (formerly of The Birds (UK) and of course later The Faces and The Rolling Stones). A little research about the band revealed an interesting musical tidbit that I had never heard before. Apparently The Creation along with The Who and The Kinks (in their early days) and The Troggs and The Move, were retroactively dubbed “freakbeat” bands by music journalist Phil Smee. According to Smee, these bands were known for experimenting with studio production techniques and supposedly provided the “missing link” between early to mid ’60’s mod R&B and the psychedelic and progressive rock like Pink Floyd that emerged in the late 1960’s. 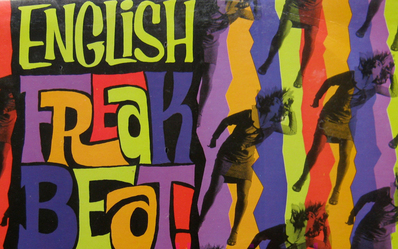 The freakbeat sound included “strong direct drum beats, loud and frenzied guitar riffs, and extreme effects such as fuzztone, flanging, distortion and compression or phasing on the vocal or drum tracks.” Freakbeat. I like it.